Happy Friday! My momokos today are 3 reroots with the same hairstyle. The blonde one was a commission and is back at her home now. But before she left, I decided to try and take some fun arty photos as I was inspired by my friend and fellow collector Gabriela who takes such awesome photos of her dolls that she finally decided to make a coffee table book of them. She’s now taking orders for them. So, if you’re like me and love to buy those Dolly Coordinate Recipe books just for the pictures, then this book is for you. Unlike the recipe books, this has not just a few photos of my favorite doll but 35 pages worth! All are impeccably dressed and some of my reroots made it in. These books are works of art so do check it out. Now, on to my dolly projects. 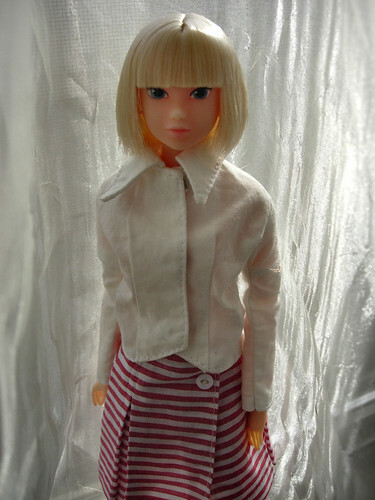 I finished a tired worn francie doll and totally gave her some spicey pizazz. I call her Cherry Tomato because of her yummy tomato colored hair. She’s on eBay so click here or on the picture to view or bid. 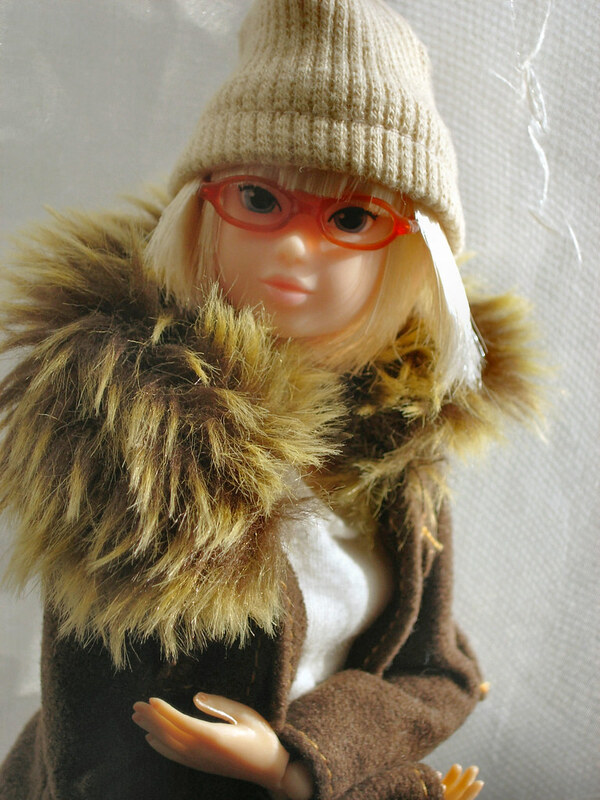 Today’s momoko is CCS-AW06 Suite Chocolate. 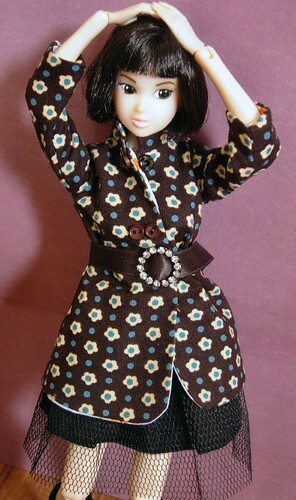 She’s wearing a new Volk’s WTG outfit. It’s just perfect for her. I finally finished Francie and she will be up on eBay tonight. She’s looking totally hip and mod. 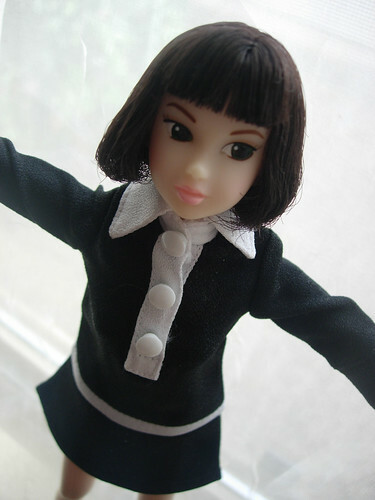 I have other dolls up as well so check them out. Here is my lovely Anika from my bonus truck again. 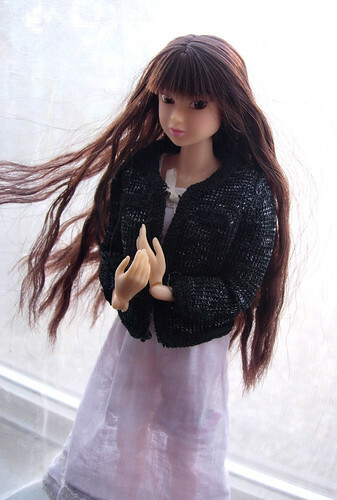 She’s wearing a new skirt from Volk’s Dollfie WTG clothing line. Nice clothing for not too bad prices. It’s been a very productive weekend for me. It is unsually cold for Arizona and yesterday is was grey and rainy so we didn’t go anywhere and I painted one of my obitsu heads. She is so pretty and reminds me of a fairy or nymph. Her head will be up on eBay tonight. I also finished rerooting a vintage Francie head and have repainted her and am now rooting the eyelashes. Hopefully I’ll have her available for sale tomorrow so check back. I also did a little more work on my haruka head but am still waiting on the wig. Here’s Good Night Cherry. I sold the Sweet Poodle doll from the Bonus Truck and someone else was selling Good Night Cherry from their Bonus Truck so it almost worked out to an even trade. She’s so much prettier than I was expecting. Very romantic. Me and my 3 yr old pretend she’s Sammy’s ( 02DD) sister. Sammy’s more the hip rocker girl and Cherry is more feminine and demure. On my dolly projects, I’m still rerooting Francie and I got a bunch of heads from Junky Spot this weekend. Plus my male head from Volks came so I got loads of dolly projects to do and not enough time to do them. My other 1/6 sized obitsu dolls and heads sold and have either just arrived or are on their way to their new homes. 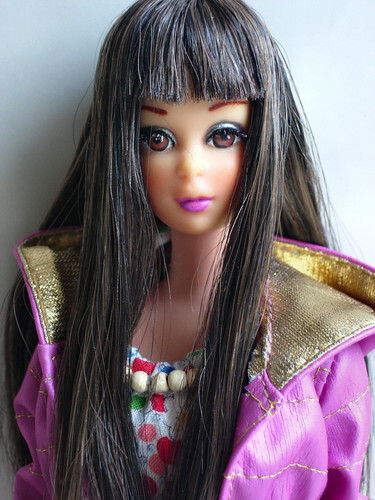 I’m also waiting on a wig for my haruka doll head and still working on the face-up. Here’s a shot of the obitsu heads I just got. I thought they looked neat lined up with the different hair colors.